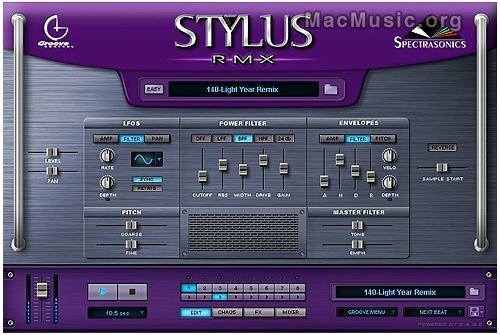 At NAMM, Spectrasonics has announced the release of an update to version 1.2 for Stylus RMX, its realtime groove-based virtual instrument plug-in. This version adds new features including three new professional quality effect modules (Radio delay, PRO-Verb, Spring Verb), as well as enhanced compatibility with major host applications (multiple Outputs in Apple Logic 7, multiple Outputs in Pro Tools v6.7) and various additional enhancements and improved performance. Thise update is now available as a free download for all registered users. Oct 27, 2009 Spectrasonics Trilian is now shipping ! Jan 27, 2009 2000 New Omnisphere Patches ! Sep 16, 2008 Spectrasonics Omnisphere at last ! Jan 17, 2008 Spectrasonics Omnisphere !